An incredibly desirable place to live and a popular vacation destination, Santa Barbara (and Montecito) are receiving recent accolades from media outlets. The New York Times’ has ranked Santa Barbara, "The American Riviera" #3 on their list of ’52 Places to Go in 2019.’ Only Puerto Rico (#1) and Hampi, India (#2) are listed higher than our coastal town. Long known for drawing movie stars and millionaires to its resorts, Santa Barbara has now become a foodie magnet. The acclaimed Melbourne and Manhattan chef Jesse Singh oversees Bibi Ji, an edgy Indian restaurant — try the uni biryani — with a wine list curated by the noted sommelier Rajat Parr. The “Top Chef” alum Phillip Frankland Lee presides over The Monarch, a posh Californian restaurant, and Chaplin’s Martini Bar, and will open Silver Bough, a 10-seat, tasting-menu venue in January. 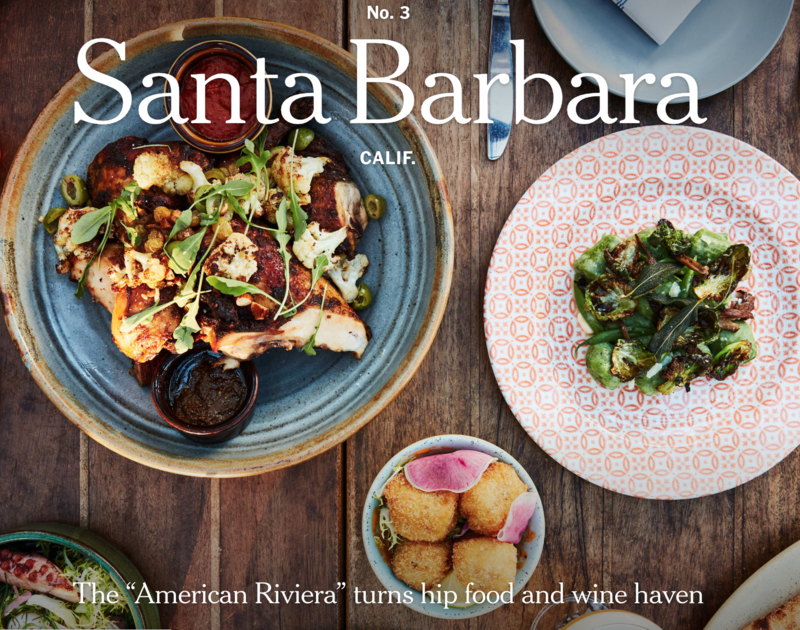 The Santa Barbara Inn’s Convivo offers upmarket Italian fare and ocean views; nearby, at Tyger Tyger, Daniel Palaima, a veteran of the kitchens of the Chicago-based chef Grant Achatz, serves Southeast Asian fare beneath rose-colored lanterns. (To finish off the night, try the Szechuan pepper soft serve ice-cream at Monkeyshine.) The city offers more than 30 wine tasting rooms that look nothing like their more staid cousins up north. Frequency and Melville feature modern furnishings and party-ready playlists; vinyl rules at Sanguis, a winery run by drummers.